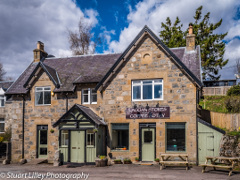 Food and Drink - Newtonmore, scottish highlands, monarch of the glen, highland accommodation, aviemore, cairngorm national park, scottish holiday. 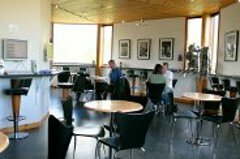 Newtonmore offers a varied range of places to eat & drink. You'll find good value, quality cooking and interesting menus using mainly local ingredients, all served in a warm & friendly atmosphere. 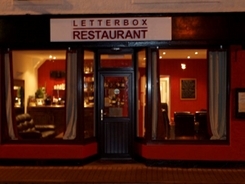 Small family run restaurant, using only fresh locally sourced Scottish produce. Fully licensed with ground level disability access. Ralia Cafe was established in 2005 and has become a popular haven for those who appreciate a warm welcome, freshly-made soup & sandwiches and exceptional espresso. 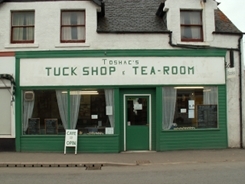 A warm and friendly welcome from Lyn and David in the Tuck Shop, the original Cafe on the Main Street, offering a wide ranging menu that is available to 'Sit in' or 'Take Away'.